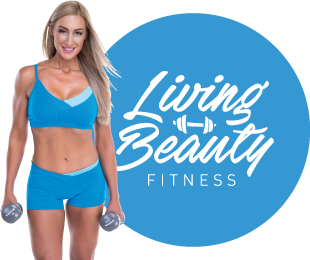 How long did you train with Living Beauty? How did you make the decision to start? I have always struggled with my weight and toyed around with different “diets and training regimes” – always yo-yoing with my weight. I made the decision to change my lifestyle and focus on a new goal and was fascinated by Living Beauty’s belief systems and the amount of food included in the programs. Have you ever felt demotivated and how did you get back on track? Amelia and Gemma provide me with lots of helpful advice through their experiences and emotional support. 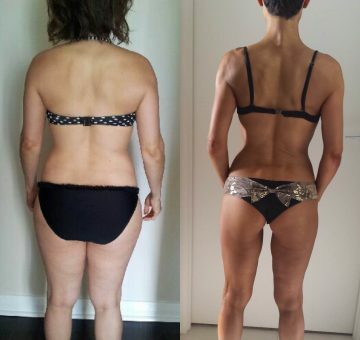 I am very thankful to Amelia for her guidance on nutrition, training, posing and beauty secrets – I wouldn’t have reached my successes to date without them both! What is the Living Beauty philosophy according to you? In the first 8 weeks of my 20 week program with Amelia’s guidance, I was the healthiest I have ever felt and leanest I have ever been! I never felt deprived or need to use stimulants (fat burners) or consume a vast variety of vitamin supplements, as I am getting all the nutrients I need through wholesome food. I have so much more energy, am mentally clearer and stronger, learned patience, happier and feel more confident, all whilst working towards achieving my goal. The training has also been fantastic as there is no extensive cardio – just a lot of hard work.